plus powerful hiring market analytics. Job shopping. Help qualified candidates find the exact right job. Yours. Healthcare job seekers love our attribute-driven job shopping experience. As a premium employer, we provide you with the tools and exposure to convert qualified job seekers into qualified hires. 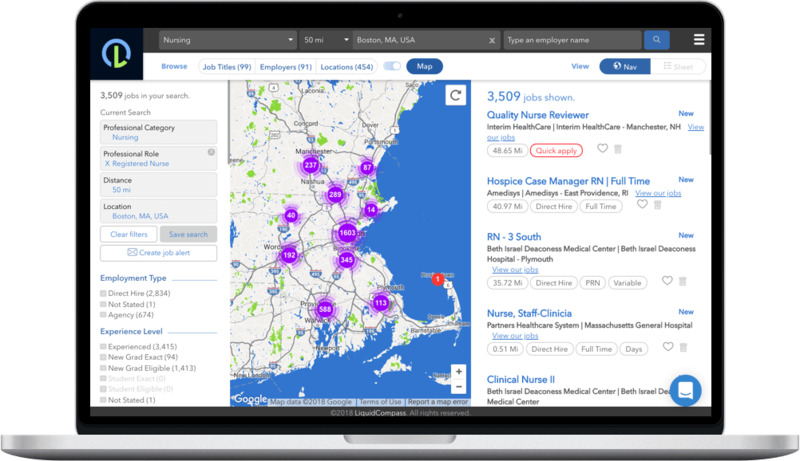 Increase engagement of qualified healthcare applicants with a single click. 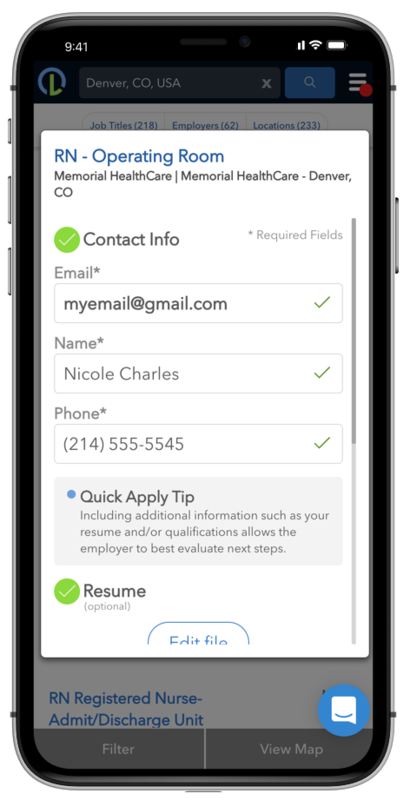 QuickApply gives jobseekers the ability to engage you with a single click, and then complete your full application now, or when the time is right. Make our job shopping experience and engagement tools your own. Leverage our job shopping experience at your site to engage great candidates and manage them directly through our candidate management platform or your existing ATS. Hiring metrics benchmarks and reports built specifically for healthcare. 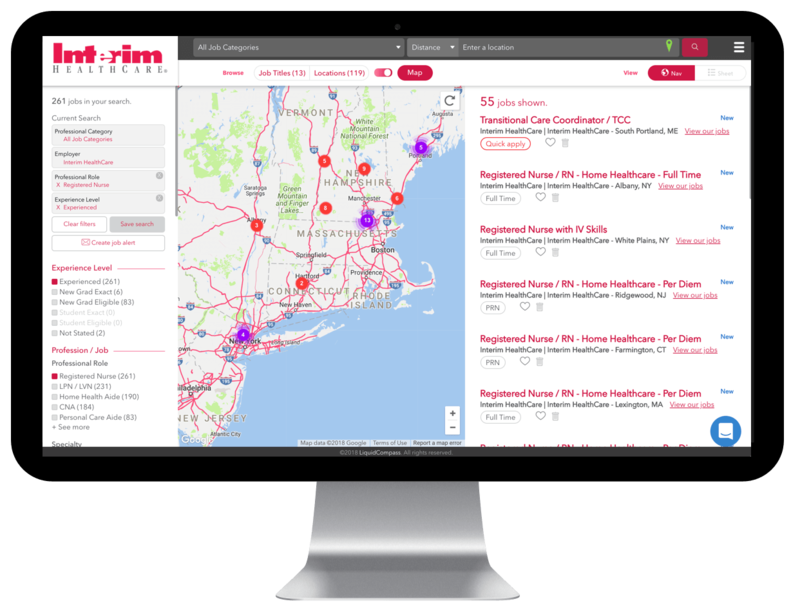 Supply, demand, time-to-fill, qualifications, and compensation benchmarks and reports…in your market or any market, for every job title in healthcare. Knowing the hiring market has never been easier.